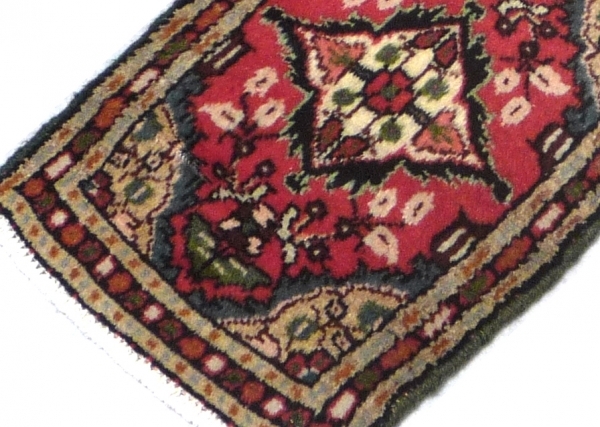 This rug made in small villages around the west central Persian city of Hamadan. Produced in the area and they possess a certain primitive charm and village authenticity, which is often the focal point of collectable appeal. 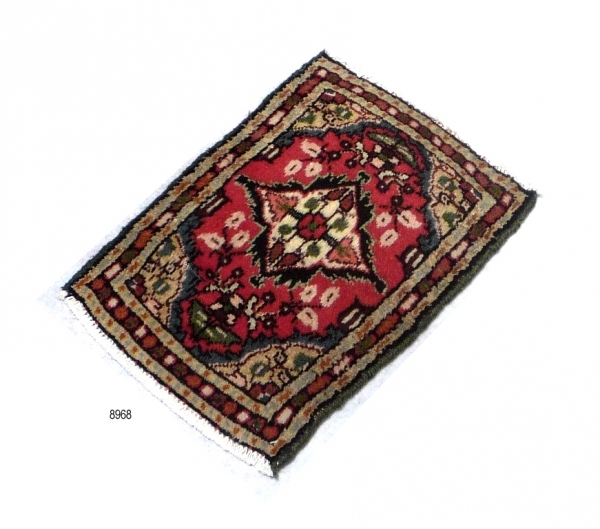 The Hamadan palette is dominated by reds, blues and whites, with greens, gold and yellow ochre’s; The design is based on geometric medallion, They are hand knotted and possess wool pile, woven on wool or cotton weft and warp using vegetable and artificial dyes.